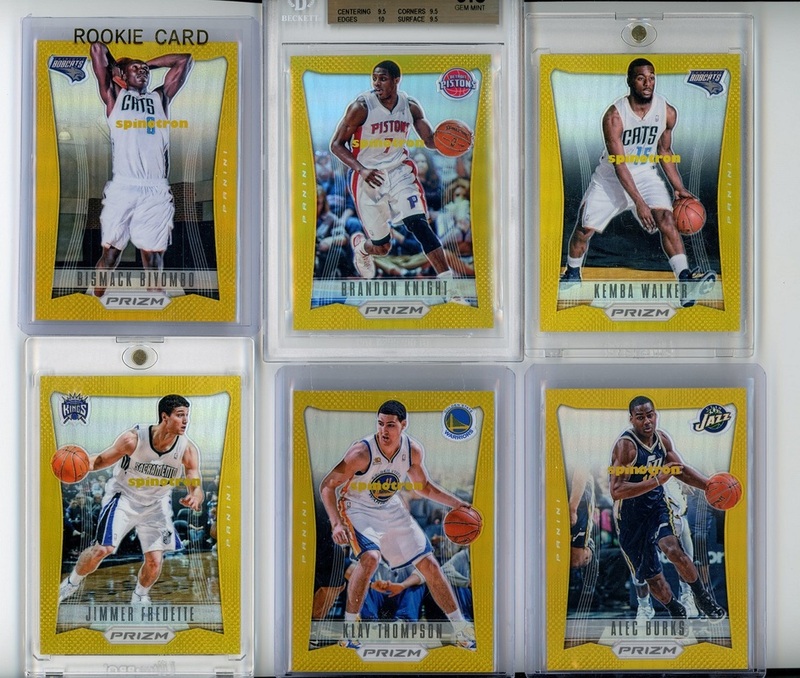 Prizm was one of first products in 2012-13 to give some exciting RC to chase. 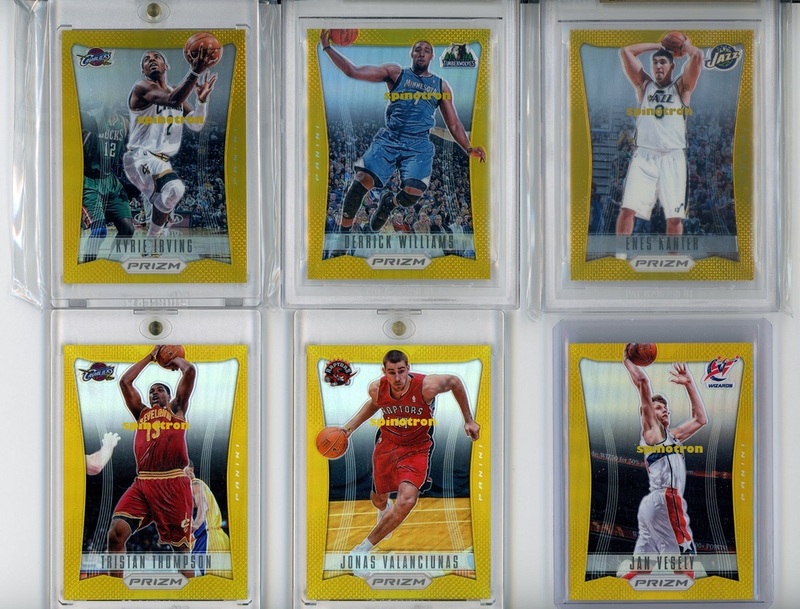 Thanks to the double rookie class sophomore guys also enjoy some nice looking rookie cards. I have assembled top 12 in 2011 rookie draft below (was going to show top 10, but cannot leave Klay out the picture and triples are the units in my PC). I am more of a single picker or a pairing collector at most. The following is my first successful attempt to complete a set. 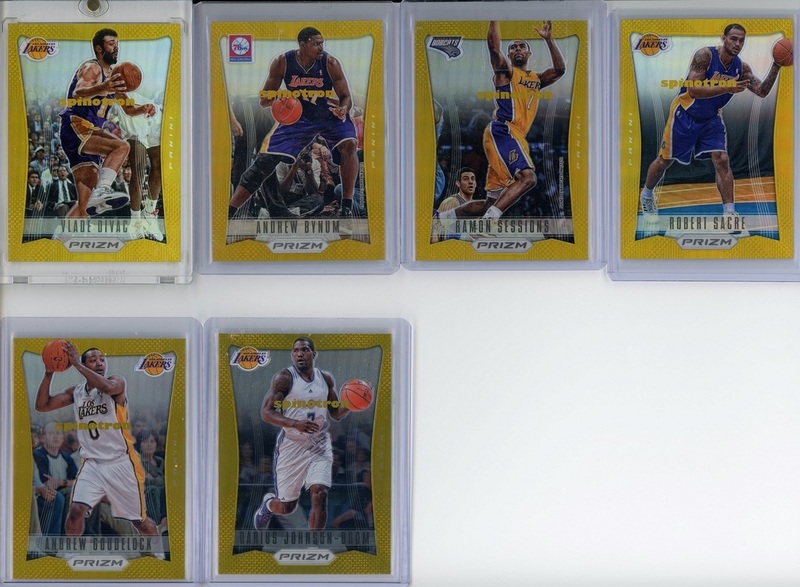 The prizm gold base /10 set consists of 300 cards, impossible for me to chase. 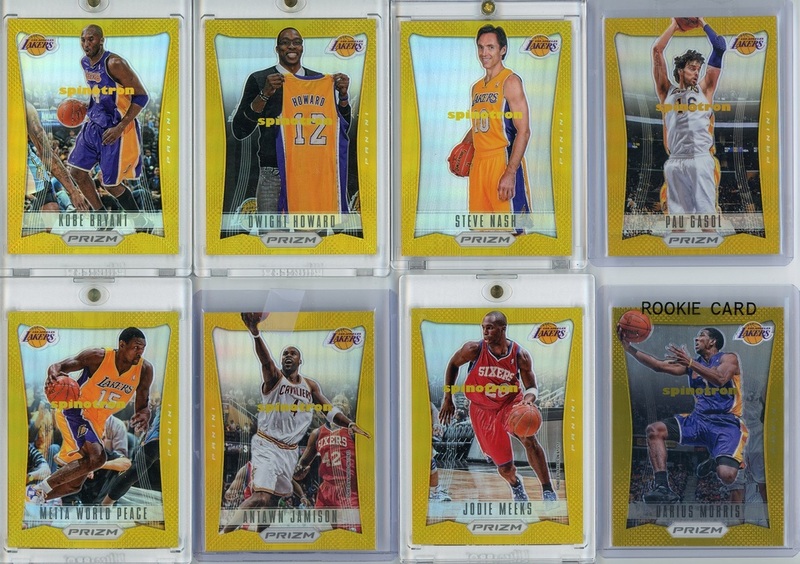 So I narrow it down to the Lakers subset, which consists of 20 cards with Lakers logo and two more ex-Lakers players that I also include. 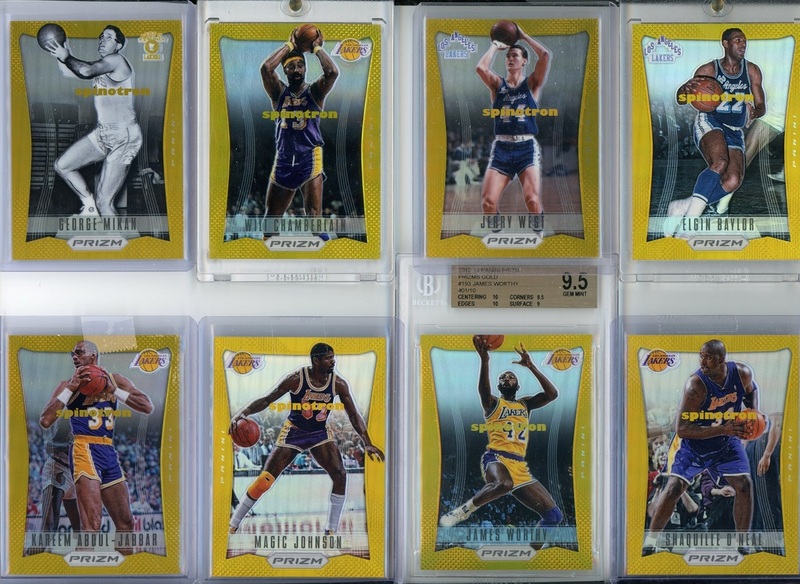 First eight-player slide consists of the core of current Lakers, next eight-player slide consists of eight HOF (or to be) legends, and the remaining players are in the third slide (which interestingly also only features 0 and 7 for the last digit of jersey number). 16 of 22 cards are special numbers.